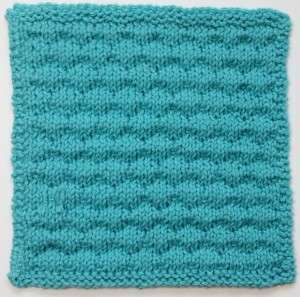 Similar to the Popcorn Stitch, the Waffle Stitch is really very lovely on the reverse side too! 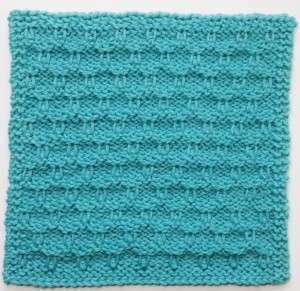 This makes it perfect for scarves, blankets, and any type of project that could be seen from both sides. 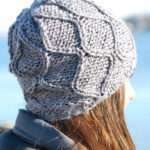 To work this pattern in the round such as for a hat, use the Main Pattern Rows directions, but simply work all stitches in purl, as there will be no need for extra border stitches. 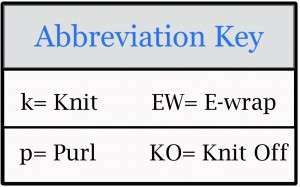 Make sure to also use a number of pegs that is divisible by 4. 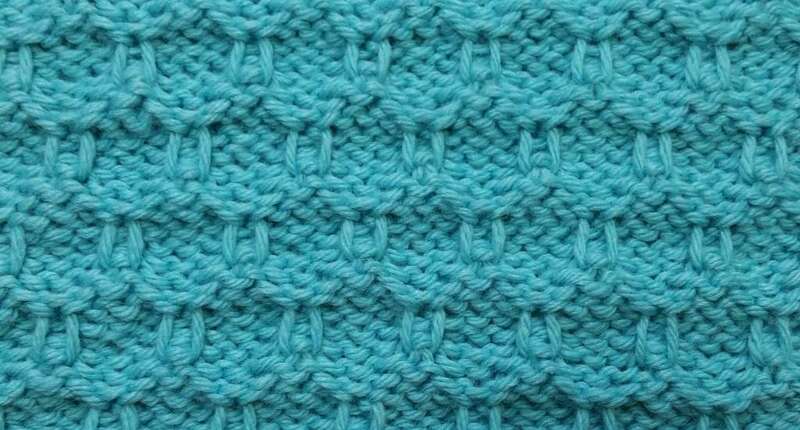 For flat pieces of a greater size, simply increase the number of purls inside the Main Pattern Rows, keeping them divisible by 4. 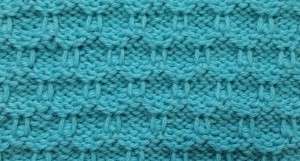 You might also want to increase the number of rows/pegs used for the garter stitch top/sides/bottom to better match the new dimensions of the piece. 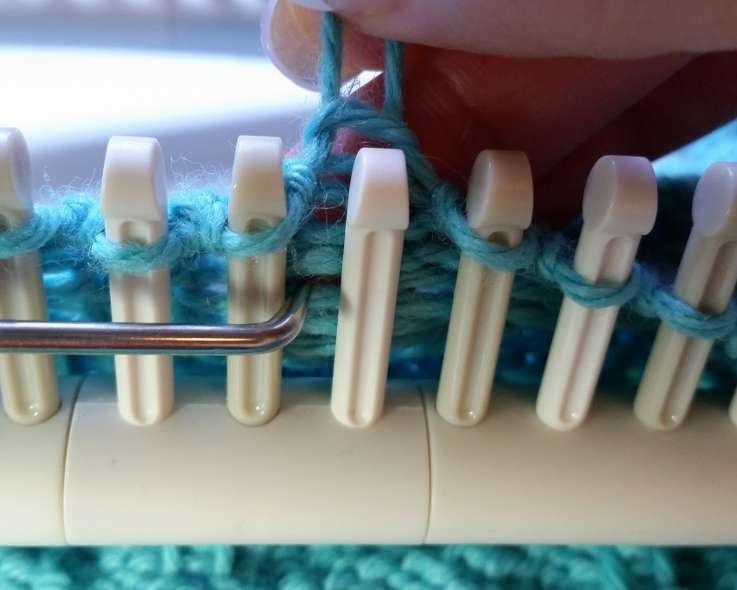 Working with just pegs 4-36, and starting at peg 4, lift the loop from the peg and hold between fingers. 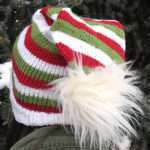 Stretch the loop upwards and count down 5 purl stitches at the front of the work, starting with the one in your fingers. *You’ll be able to see these sts by looking between the pegs. 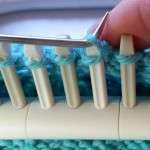 Lift the 5th stitch up and over the peg. Replace the held loop. Continue with these same steps every 4th peg to peg 36. 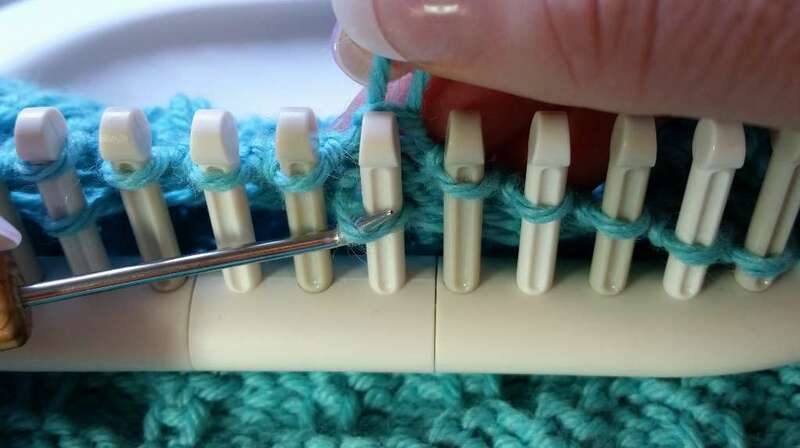 Every 4th peg should now have 2 loops, with the 3 pegs in between having only the original loop. KO all these extra loops. 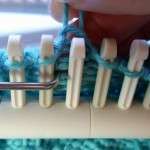 Working with just pegs 6-34, and starting at peg 6, lift the loop from the peg and hold between fingers. 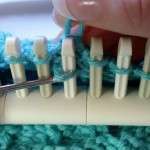 Stretch the loop upwards and count down 5 purl stitches at the front of the work, starting with the one in your fingers. *You’ll be able to see these sts by looking between the pegs. 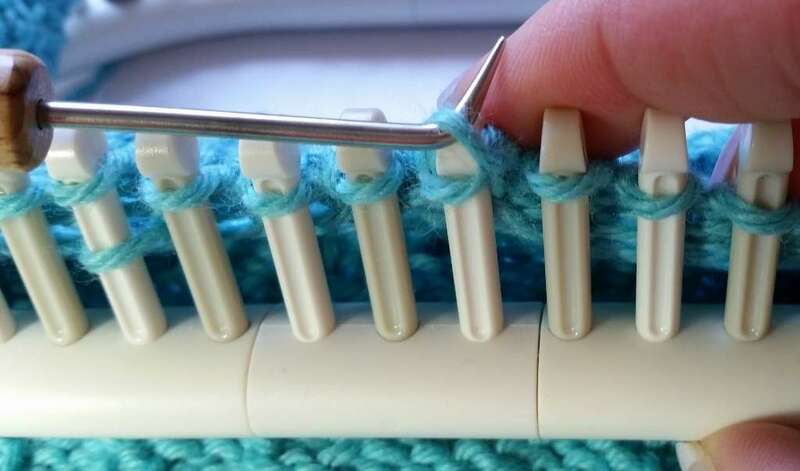 Lift the 5th stitch up and over the peg. Replace the held loop. Continue with these same steps every 4th peg to peg 34. 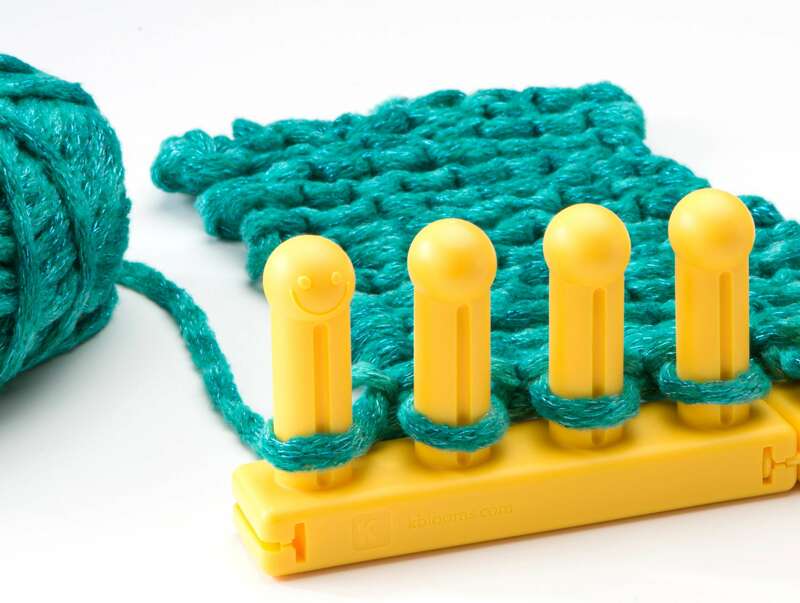 Every 4th peg should now have 2 loops, with the 3 pegs in between having only the original loop. KO all these extra loops. 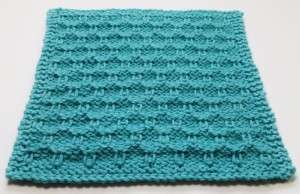 Rows 16-69: Repeat Rows 4-15, including Waffle Rows A and B. 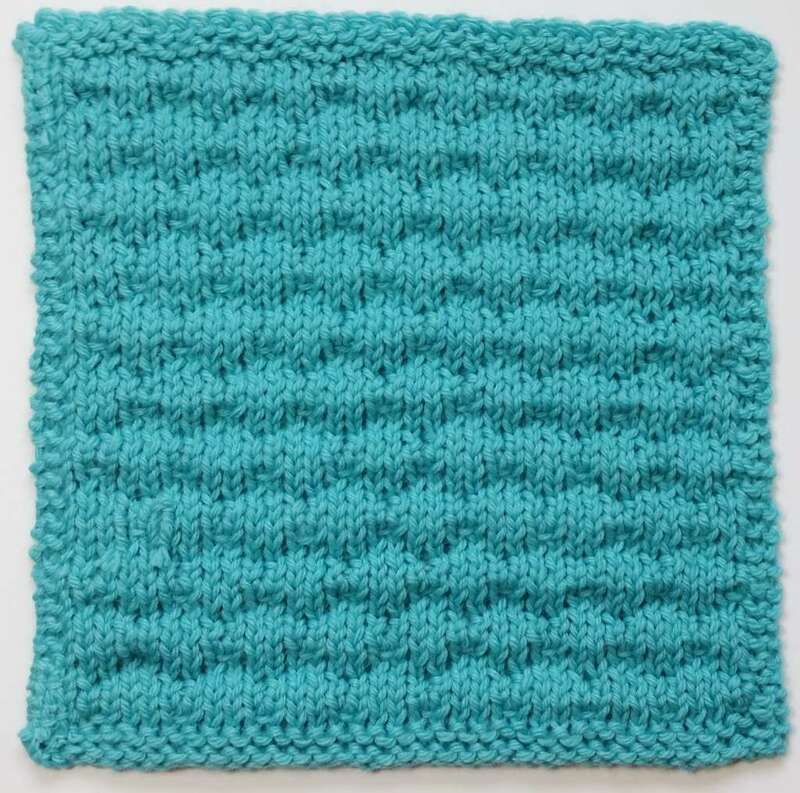 Such a pretty square 🙂 I love the texture and I also really like the color. Awww…thank you, Jenny! I really like how it came it too. I think it was worth the 2nd square, lol. 😉 But, now I’ll have 2 ready for my blanket! 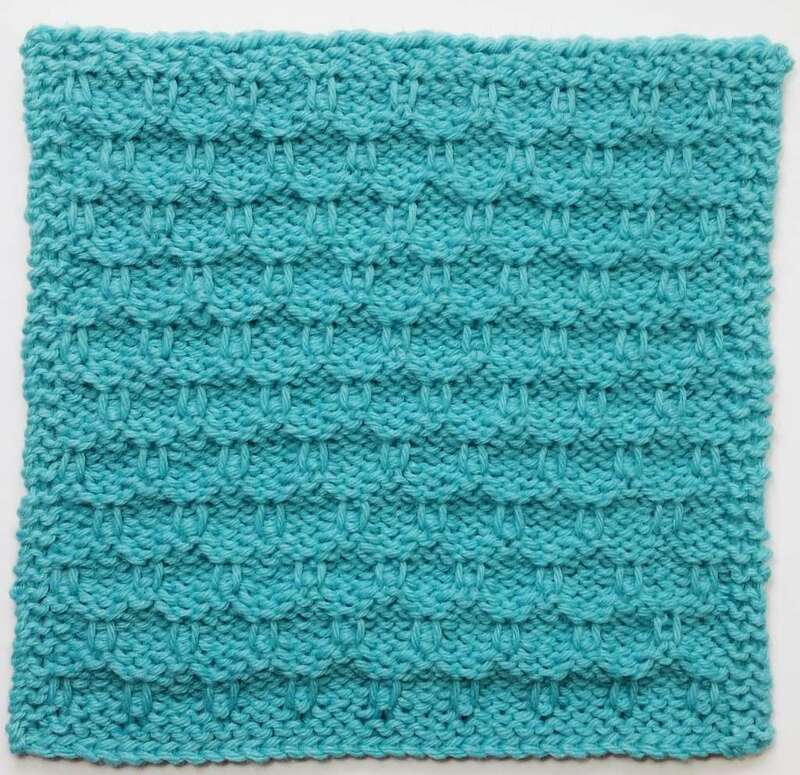 The color is one of my favorites, too!